Insulated foam with PVC lining. Bottom zippered compartment for drinks. Front zippered pocket on flap. Side clear PVC name card pocket. 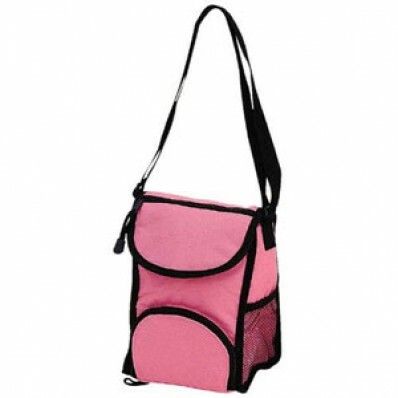 This small lunch bag holds a lot in its different compartments. The main compartment is large enough to hold a sandwich and snacks or a water bottle. 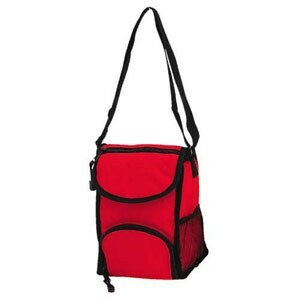 The bottom zippered compartment, side mesh pocket, and front zippered pocket can hold silverware or condiments.